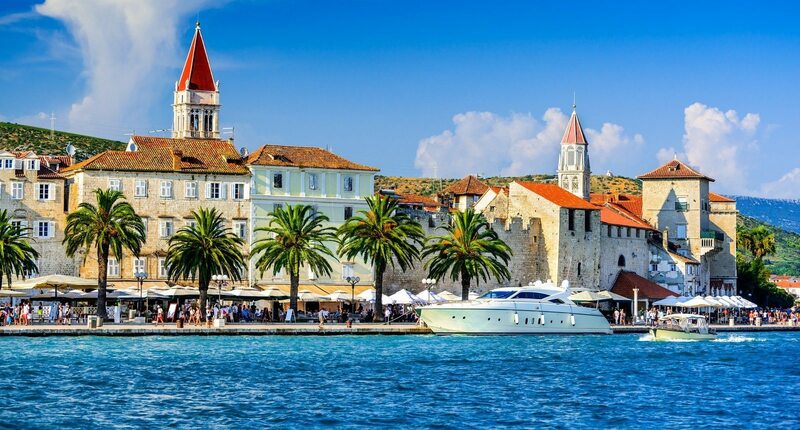 Trogir – small island between mainland and the island Čiovo, since 1997 the historic center of Trogir has been included in the UNESCO list of World Heritage Sites. 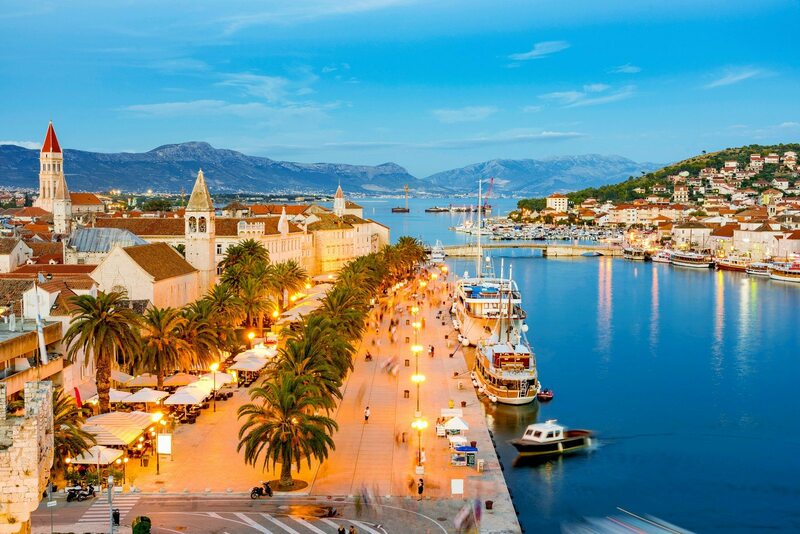 This specialized tour itinerary hits the top attractios from the port in Split. When your cruise ship docks in Split, your English speaking guide will wait for you to start the tour. Our tour starts with the one hour drive towards the NP Krka Waterfalls. 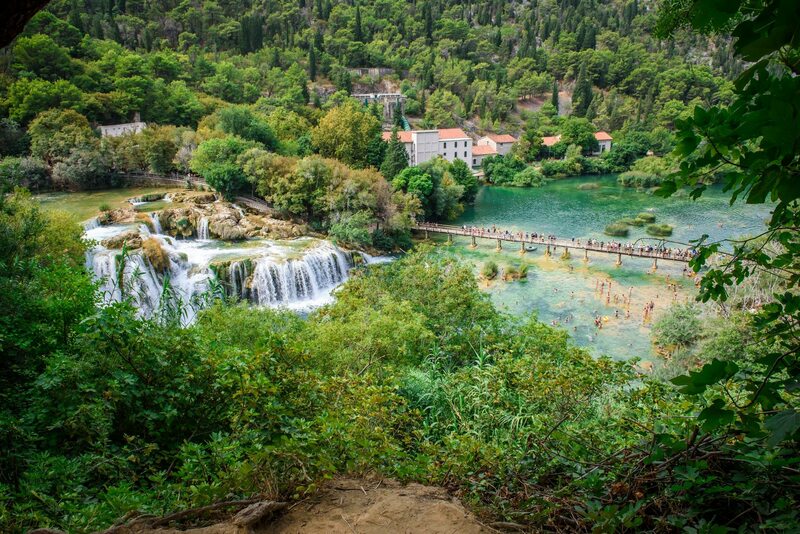 Our first stop is the Krka national park which is a delight for all nature lovers. You will visit a part in the place with famous waterfalls, with the main waterfall attraction, Skradinski buk. 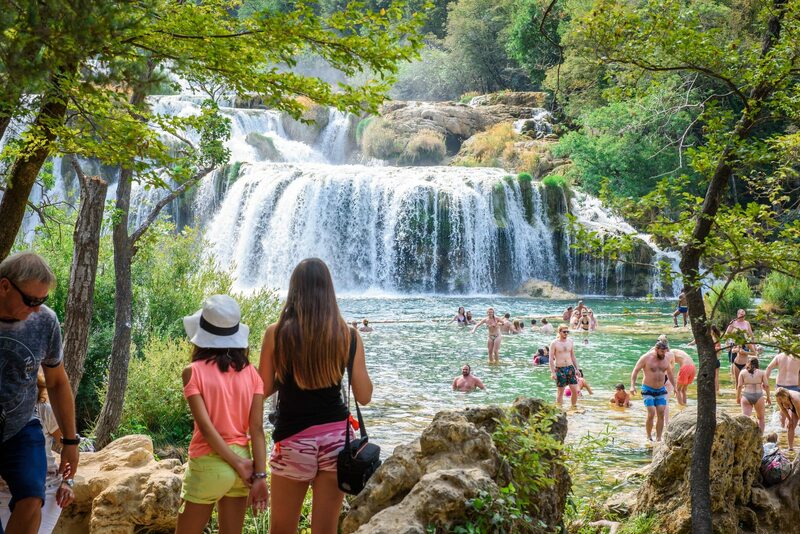 You will have two hours to explore the fascinating travertine creation of the Krka River. Your guide will lead you through network of trails and small bridges, intriguing excavated sites of the national park which include small water mills transformed into a pretty museum now. With an hour of free time, you will be able to independently explore this charming creation of nature, it`s flora and fauna. In summer time you will have also the opportunity to refresh in the Krka River just below the biggest waterfall. 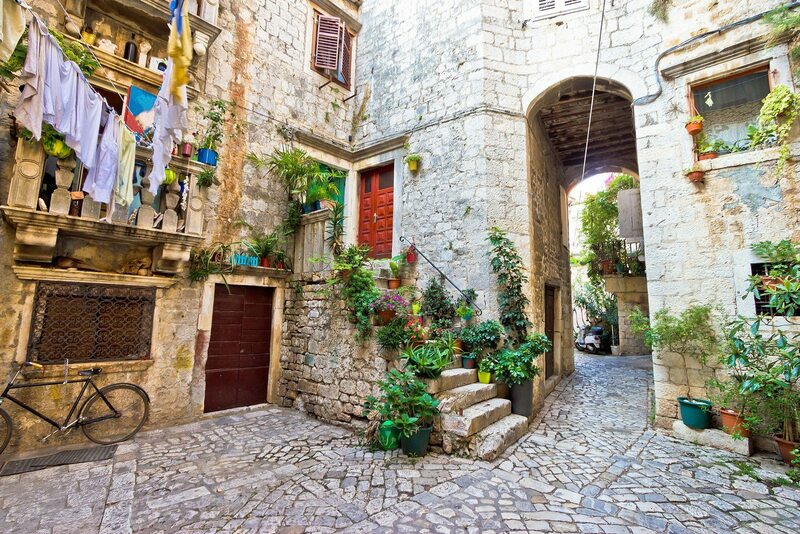 After this delight of nature your tour continues with the half an hour drive towards Trogir, our second stop. Trogir is a unique old town with one of the biggest historical heritage on the Adriatic, which is included on the UNESCO list of World Heritage Sites. 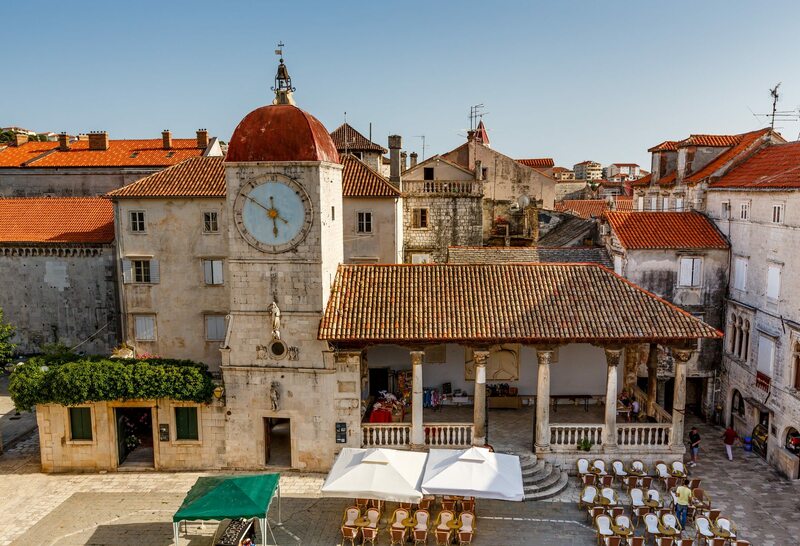 You will walk with your guide through Trogir`s narrow lanes, taking you back in history as you pass stone houses, town walls, street vendors and many shops and cafes. On the tour you will stop by the main attractions, for example the St Lawrence Cathedral, that is besides the town walls, the most impressive building in the town. With an hour of free time, you will be also able to independently explore this charming town. Afterwards we return to the Split port. 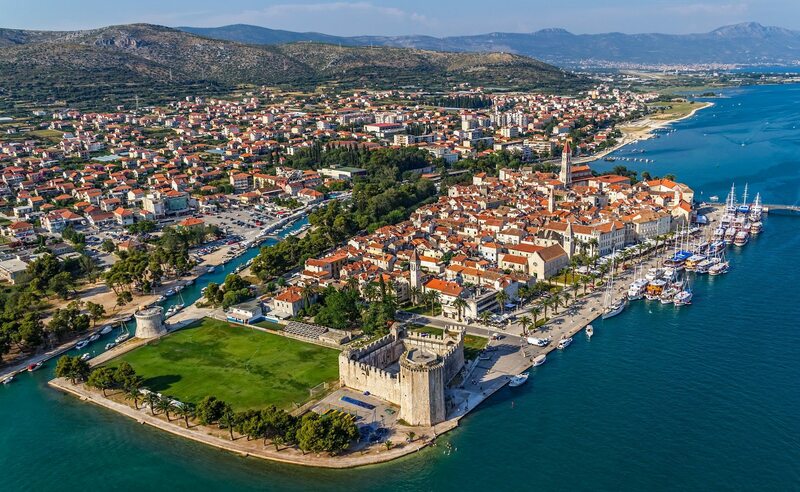 Price includes: Pick Up and Drop Off (Split port), transport with comfortable sedan car or passenger van, entrance tickets to NP Krka, official English speaking tour guide / driver (other languages on request), guided tour of Trogir old town, road tolls and parking, all taxes and VAT. In order to be eligible to take this tour your boat must arrive in Split before 9 am and must depart no earlier than 6pm. Unfortunately we are unable to accommodate customers who arrive any later and depart any earlier than this. Perfect day trip. Organized everything very easilly with pick up from our cruise ship. The agent was very helpful and our guide fabulous. 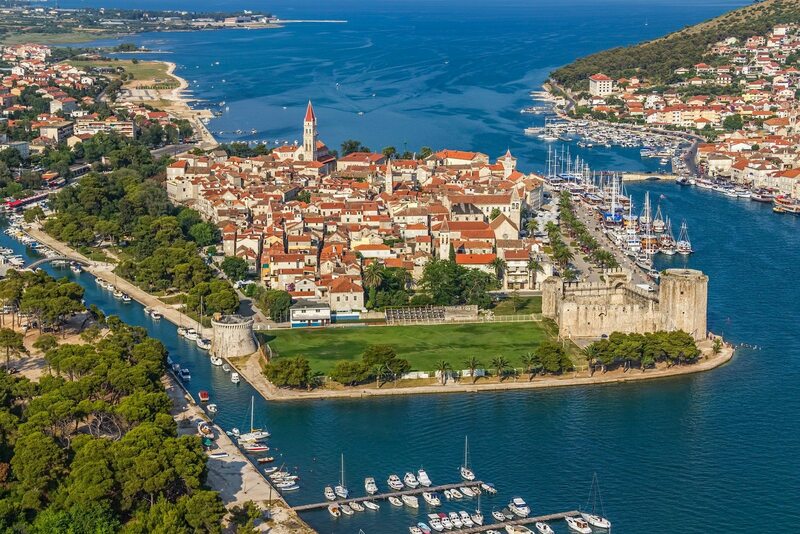 After beautiful Krka waterfalls, we were fascinated with Trogir`s history. Thank you!